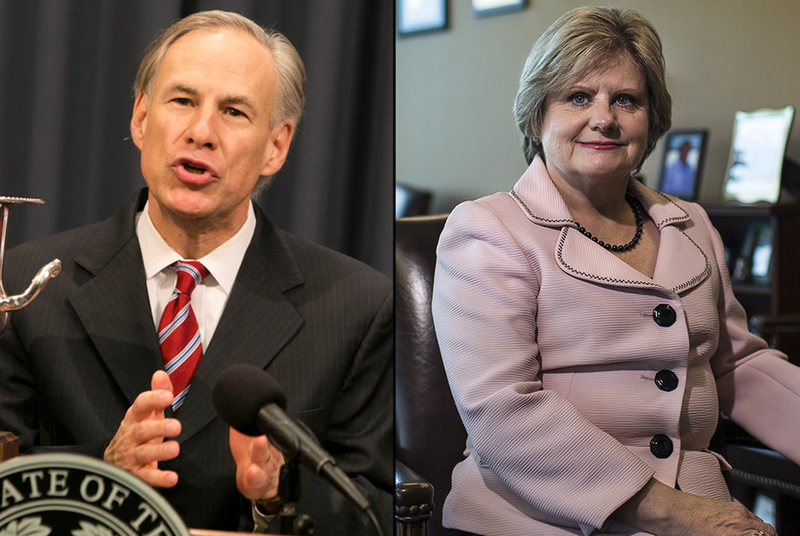 Abbott proposes removing any officeholder who "promotes sanctuary cities"
Gov. Greg Abbott said Wednesday that he and state lawmakers will pursue legislation that would "remove from office any officeholder who promotes sanctuary cities." Gov. Greg Abbott said Wednesday that he and state lawmakers will pursue legislation that would "remove from office any officeholder who promotes sanctuary cities," raising a new consequence as Republicans crack down on local officials who do not fully cooperate with federal immigration officials. Abbott is threatening to cut off state funding to Travis County Sheriff Sally Hernandez after she announced Friday she would reduce her department's cooperation with federal immigration authorities when they request an inmate be flagged for possible deportation. If she continues with the policy, Abbott suggested a more serious punishment. "We will remove her from office," Abbott said in an interview on Fox News. It was not immediately clear how legislation would remove Hernandez from office. She won her election last year. Sanctuary cities opponents view such officials' immigration policies as a violation of their oaths of office. Texas Attorney General Ken Paxton also said Wednesday that Hernandez should go if she continues the new policy. "I would agree with the governor," Paxton told reporters during an event at the Governor's Mansion. "I think, especially if they pass legislation as it relates to this issue — absolutely." Hernandez's office did not have an immediate comment on Abbott's remarks. The governor's comments, however, quickly drew ire from other Democrats, with the state party saying in a statement that Abbott was "launching a new assault on the will of Texans." "I don’t know how the governor would suggest to do that," state Rep. Rafael Anchia, D-Dallas, said at a news conference that was called to push back on sanctuary cities legislation. "Unless the governor wants to be king and remove people from office unilaterally, then I think the people of Travis County will have an opportunity to speak on the sheriff, the governor and all other elected officials when they stand for re-election." U.S. Rep. Lloyd Doggett, D-Austin, suggested another remedy. "How about removing those from office who make up the law to suit their own political needs!" he said in a statement. By the end of Wednesday morning, the Texas Senate GOP caucus released a letter, signed by all 20 GOP senators, backing up Abbott in his showdown with Hernandez. The letter did not address Abbott's proposal to remove officials like her, but told Hernandez her policy "is a reckless and blatant political stunt that not only prohibits law enforcement officers from doing their job, but also jeopardizes the safety of the citizens of Travis County." Abbott demanded Monday that Hernandez reverse her new policy or lose state dollars. Hernandez announced Friday her office would scale back its cooperation with federal immigration authorities.